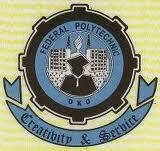 Federal Polytechnic, Oko, Okopoly Admission list for 2017/2018 has been released on the school admissions portal. Candidates that applied for admission into the polytechnic are hereby informed. The Federal Polytechnic, Oko has released the names of undergraduates that have been admitted into various programmes (ND/HND) in the school. Such students are implored to check their admission status from the school portal to confirm that they have indeed been admitted. Candidates who applied for either National Diploma or Higher National Diploma courses can check their admission stratus by following the instructions stated below. Enter your Application Number/JAMB Reg No. We congratulate all newly admitted OKOPOLY students!